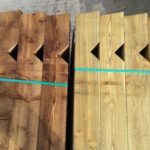 All the timber fence and gate posts featured on this page are available from stock with delivery in 2-5 working days. With the exception of the bird-mouth posts, these are cut to order, delivery/collection 5-10 working days. Heavy duty field gate post or post for driveway gates. Comes with a 4way weathered top. 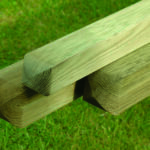 Tanalised sawn timber four way weathered top gate post 175mm x 175mm (7in x 7in) available in 1.8m(6ft), 2.1m(7ft), 2.4m(8ft) and 3m(10ft) lengths. Ideal post for field gates. Tanalised pressure treated for durability. Allow 2ft in the ground plus height of gate for total post length. Post has a four way weathered top. Available in 1.8m(6ft), 2.4m(8ft), 2.7m(9ft) and 3.0m(10ft) lengths. Here at Oakdale we have a full range of timber fence and gate posts for sale all year round. We carry wooden posts suitable for most of the common styles of timber fencing. Have a gate that needs a new post? 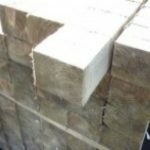 We have wooden gate posts in a variety of sizes suitable for all timber gates from the very biggest and heaviest driveway gates through to posts suitable for small picket gates. 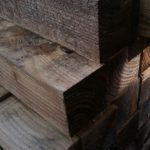 All our timber fence and gate posts are sawn pressure treated tanalised timber. This means they are preserved against attack from fungi and insect guaranteeing a 15 year rot free life. Which Fence Post Do You Need? Our extensive range of garden fence posts can seem daunting to the untrained eye. We can help you select the appropriate post for your needs whether you are installing a new fence or repairing an existing fence. For most types of fencing you will need to allow for 2ft of the post in the ground and the height of the fence to get the overall post length you need. 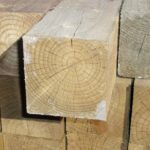 3 inch x 3 inch – These posts are ideal for timber fencing up to 4ft high. Picket fencing, the smaller fence panels and low level feather edge fencing are commonly installed on these posts. We offer a number of lengths of 3×3 starting from 5ft and going through to 10ft. The longer lengths are ideal for those who want to save a bit of their budget by cutting their own posts. 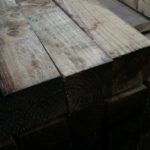 4 inch x 3 inch – These posts are ideal for fences above 4ft high. Generally these posts are used for timber fence panels and picket fencing. They are not suitable for heavier fences such as close board or feather edge which has been built from individual parts. 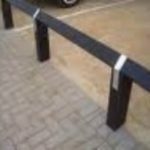 We supply these posts in three different length options : 6ft, 7ft, 8ft and 9ft. 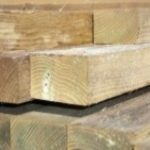 5 inch x 3 inch – Ideal as a heavy duty posts for fences that consist of fence panels over 4ft in height. Can also be used with feather edge, close board, post and rail fencing where posts do not require notching. We supply these posts in 6ft, 7ft and 8ft lengths. 6 inch x 3 inch – Rarely used for fence panels. Commonly used for feather edge, close board and motorway style post and rail fencing over 4ft high. These posts are big enough to take the weight of a heavy fence and have dimensions that allow for notching for rails. Supplied in lengths of 6ft, 7ft and 8ft. 4 inch x 4 inch – Available in 6, 7, 8, 9 and 10 ft lengths. The ideal post for hanging yard gates that are typically 6ft high by 3ft wide. (For shorter picket gates or path gates a standard 3×3 fence post will usually suffice). 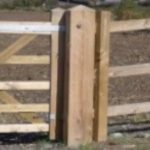 6 inch x 6 inch – Available in lengths of 6ft, 7ft, 8ft, 9ft and 10 ft. A four way weathered top post that is typically used for field gates, shorter driveway gates and other short but wide gate ways. 7 inch x 7 inch – Available in lengths of 7ft and 8ft. Also features a weather top, a heavy duty option for field gates and for taller driveway gates (6ft high by 4ft wide). 8 inch x 8 inch – Available in three lengths : 6ft, 7ft and 8ft. Ideal for use as a heavy duty farm gate post or for heavy driveway gates (6ft x 6ft leaf). Comes with a four way weathered top to prevent water ponding. If you are unsure of which timber fence and gate posts to choose for your application please don’t hesitate to call on 024 76 588 909 and we can advise which options are most suitable.